Pretty rifle revolver pinfire of the Lefaucheux type. The weapon is with open frame and the hammer is chopped thus betraying percussion with double action. The loading/unloading is practiced by a door placed on the right side of the frame. 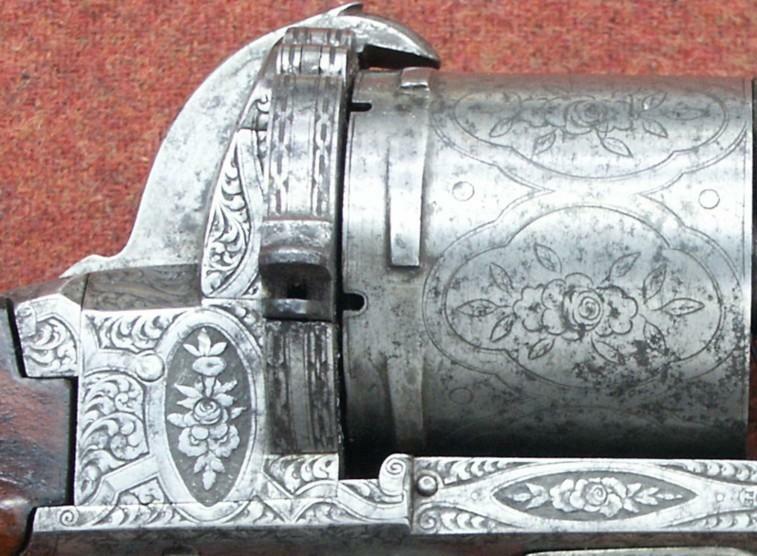 The trigger guard is with volutes and engraving is of floral type. The barrel is with 8 sides and the stock with English type. Spangled ELG in an oval: acceptance of 1846 to 1893. Y crowned: countermark of the controller of 1853 to 1877. The gun carries, encrusted with the fine gold, mark BERTONNET in Buenos Aires which is in my opinion the mark of the local retailer rather than the mark of the manufacturer of Liège. The interested does not appear in the manufacturers of Liège of the time. This use of sale of weapons without trademark was practical very current at the time. This state of affair was much snuffed purchasers who could thus endorse the paternity of these weapons bought in Liege cheaply. All that I have like information. Bertonnet, manufacturer Parisian (1840 -1860), accepted the mention of honour to the exposure of 1849 for the “splendid gun of shooting of living room” it lived 56, Choiseul passage in Paris. Bertonnet, arquebusier in Buenos Aires 1867 -1871. 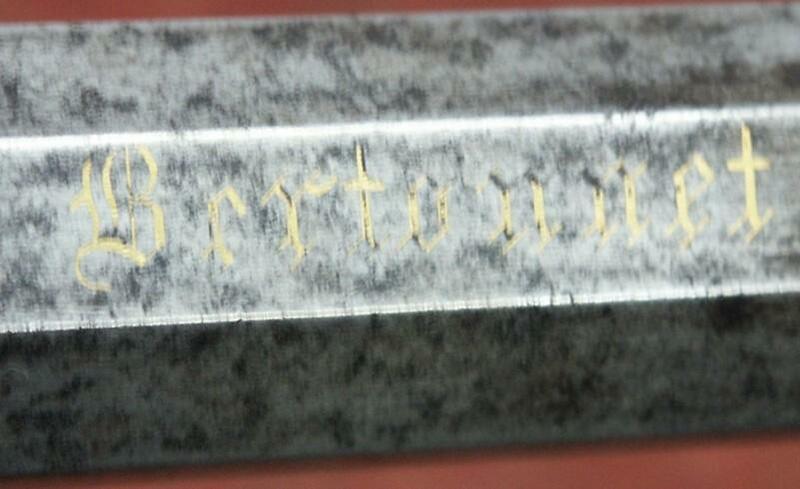 Bertonnet, “arquebusier of the duke of Aumale”, Senlis 1845. Established Bertonnet with Buenos Ayres seemed “to assemble” or “to finish” weapons manufactured either in Belgium (see hereafter) or in Paris (arms made up by Bertonnet, arms manufacturer of Buenos-Surfaces and carried out in Paris in the workshops of Delacour) which it resold. Bertonet was, during second half of the century XIX, one of the importers of weapons more important than Argentina and Uruguay. In Buenos Aires had his seat in the San Martin Street Nº 50 (1867- 1871). Brought mainly weapons from France and Belgium, manufactured much by the factories Delacour and Lefaucheux.